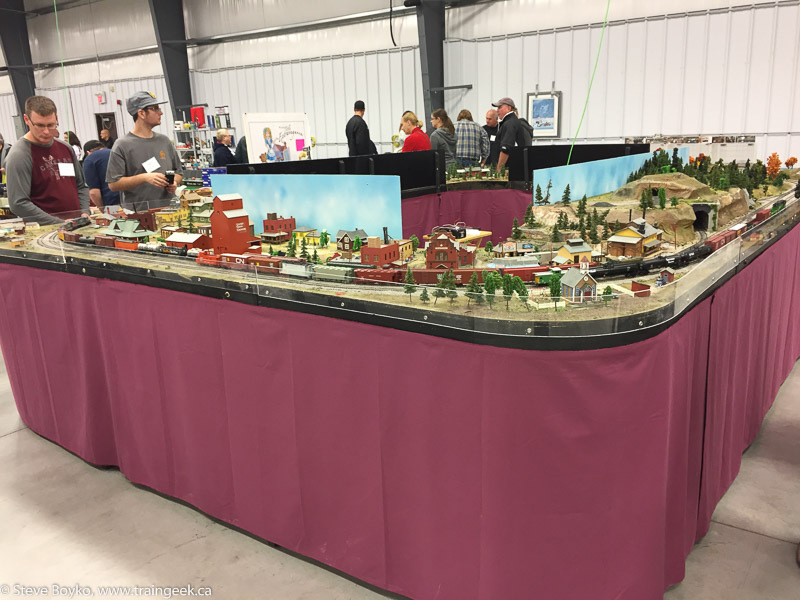 I went to the Manitoba Mega Train 2016 show yesterday (September 24). The show is being held at the Red River Exhibition Park. 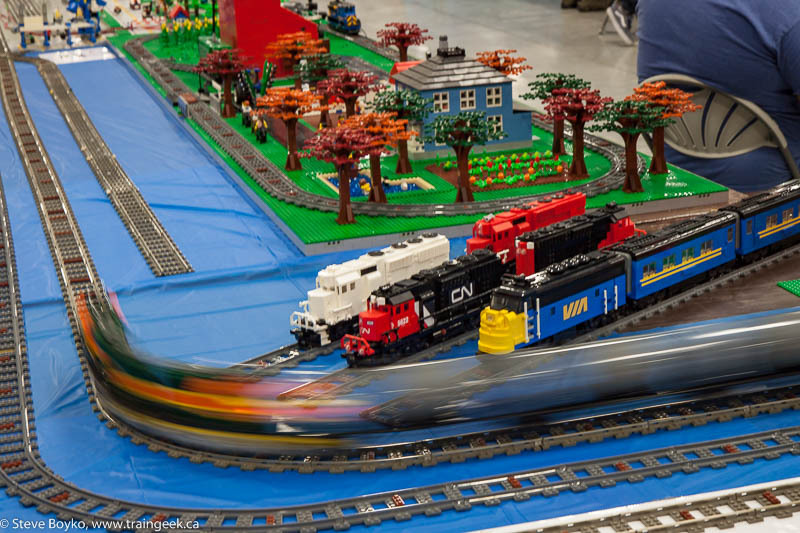 The venue is spacious, allowing lots of room for train layouts, vendors and for other activities like model ship builders, Lego, face painters and more! I was in line for the 9 AM opening. I’m normally not quite this keen but I had someplace to be in the afternoon, so I wanted to maximize my time there. This was the view right at 9 AM. 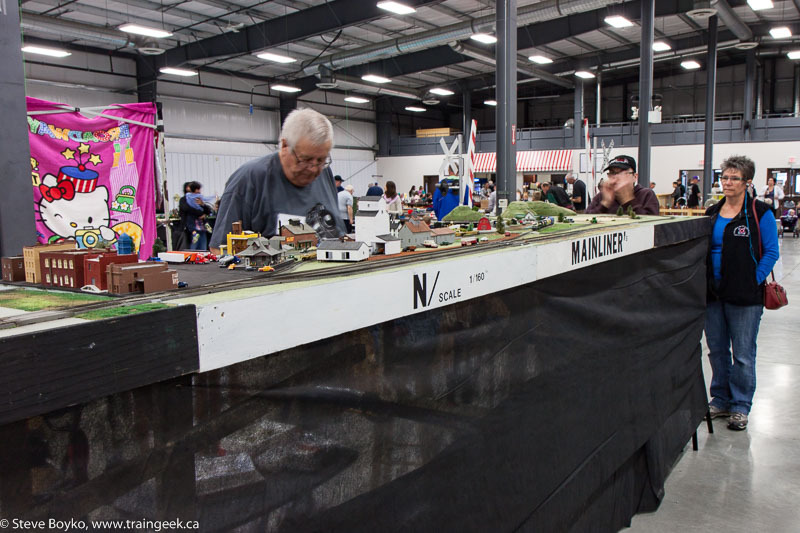 You can see John Longhurst in the foreground starting up his portable Thompson River Canyon layout. I interviewed John over at Confessions of a Train Geek. I spent the first few minutes walking around and looking at the various layouts, in all sizes from Z to HO to O.. maybe even G? 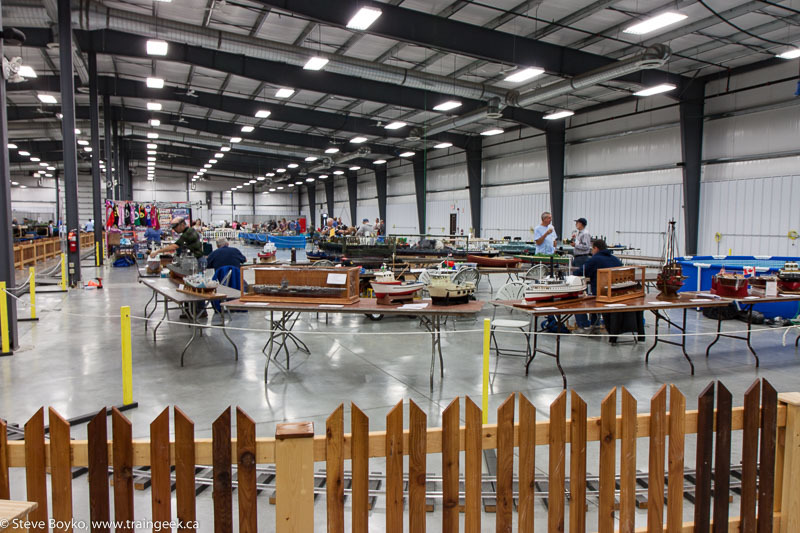 The N scale yard below was quite impressive! I saw Sterling Schabler’s impressive square layout and admired his CN slugs. I wish I had taken a better photo, but the photo below will have to do. 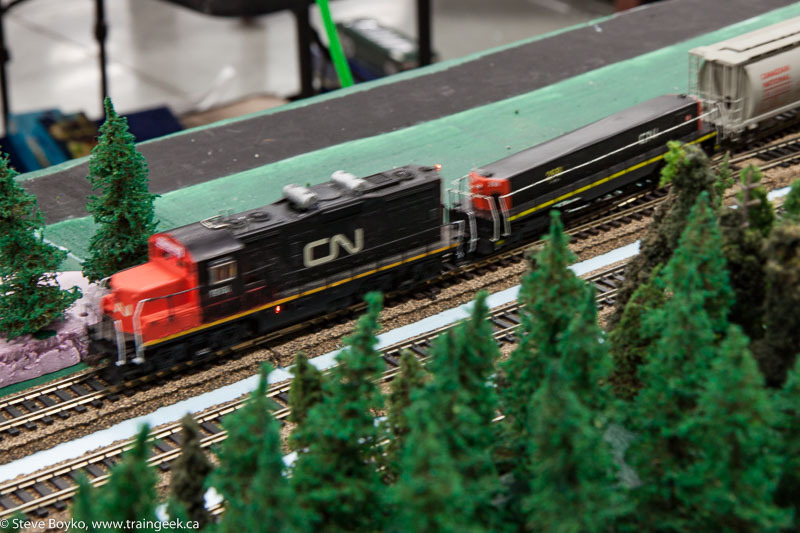 I chatted with Morgan Turney, publisher of Canadian Railway Modeler and one of the founders of the Kildonan Short Lines HO scale modular layout seen below. 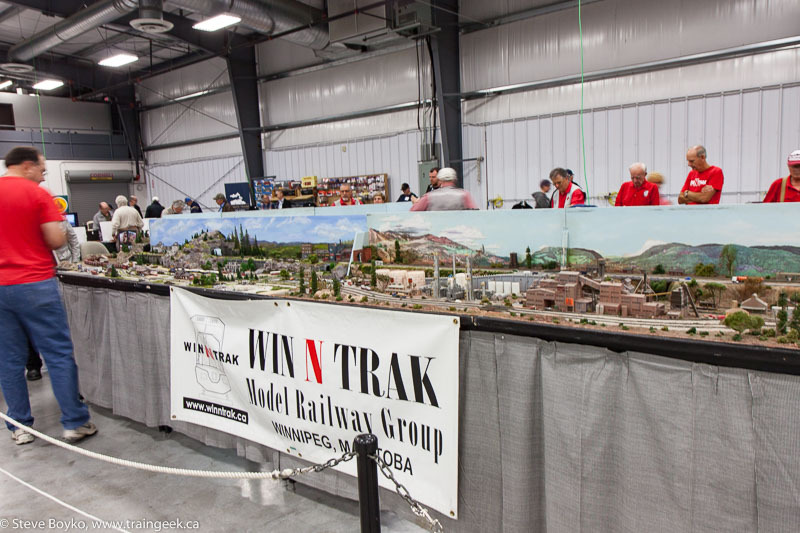 The Winnipeg N Trak group was out in full force. It was a very impressive layout! 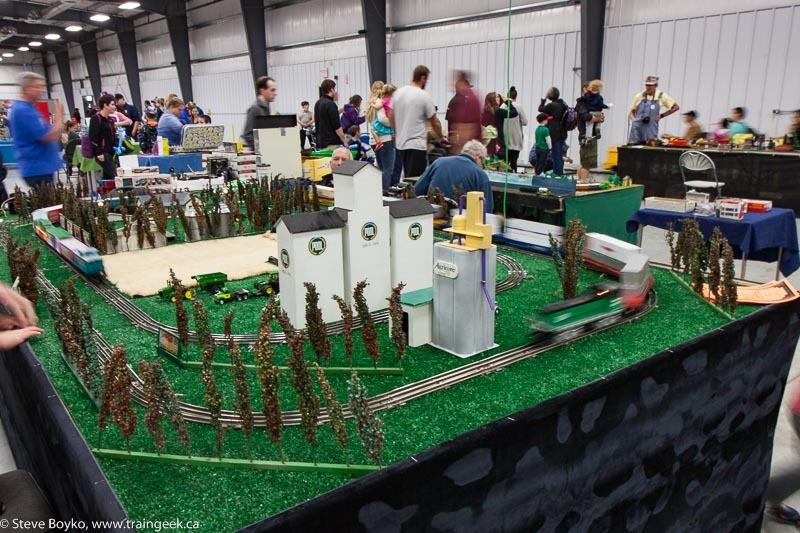 I loved the great mile 10.6 Manitoba Pool elevator and the Agricore concrete ‘vator! 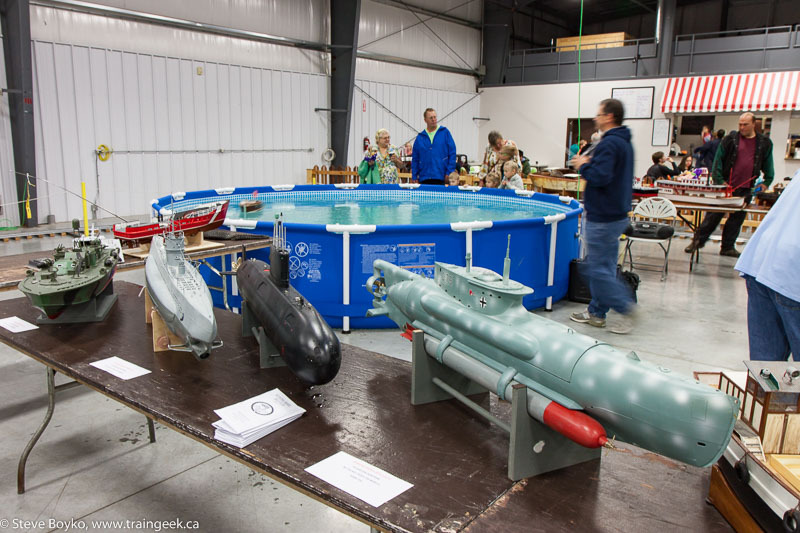 There were other displays beyond trains… like these ship / submarine models. There were a lot of ships and boats on display. Note the pool where they were running radio control boats! There was LOTS of Lego, which I love. Very impressive. 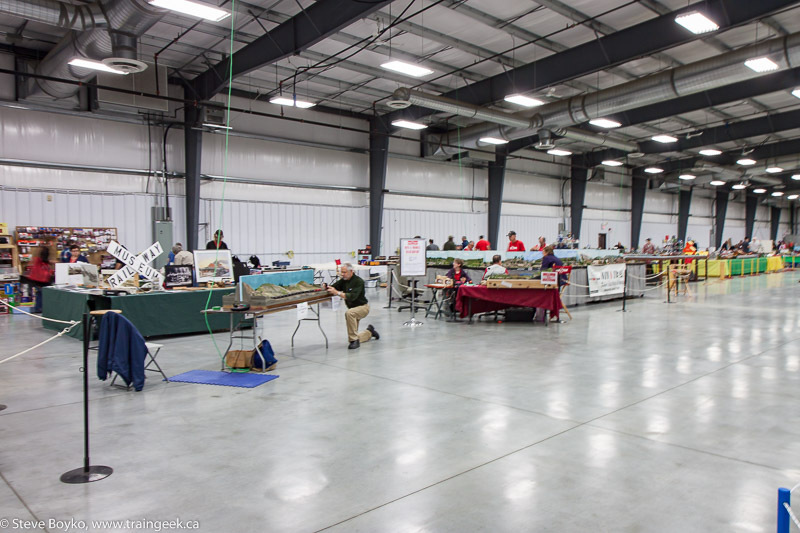 I bought a few things at the vendor tables… mostly timetables and books but I did buy an Athearn CP crane. 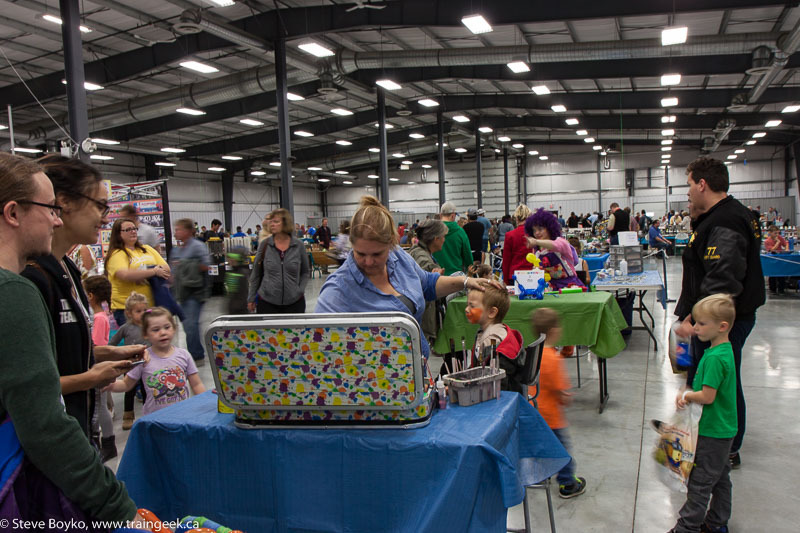 I had a lot of fun chatting with vendors and exhibitors and I think the social part of the morning was the best part. 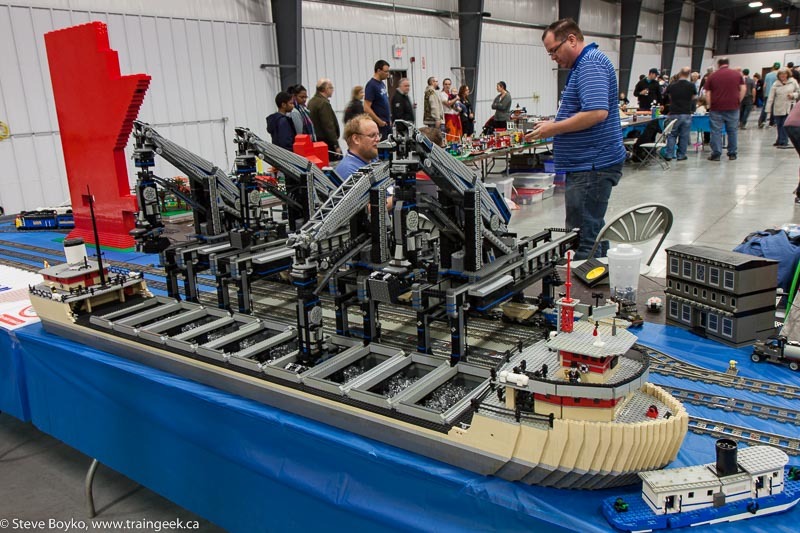 I’ll leave you with a few videos and one more photo of yet another impressive layout. 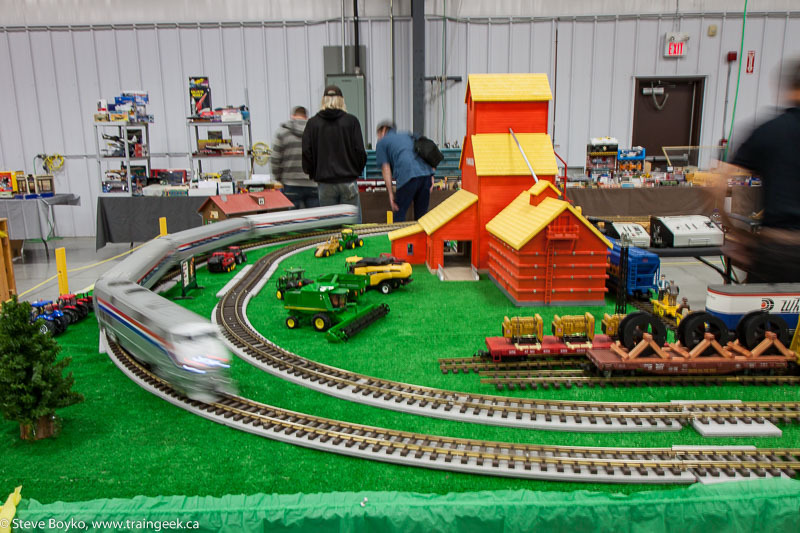 Thanks to the Manitoba Mega Train 2016 organizers and exhibitors for a great show!